Multiple jets of icy particles are blasted into space by the active venting on Saturn's moon Enceladus. 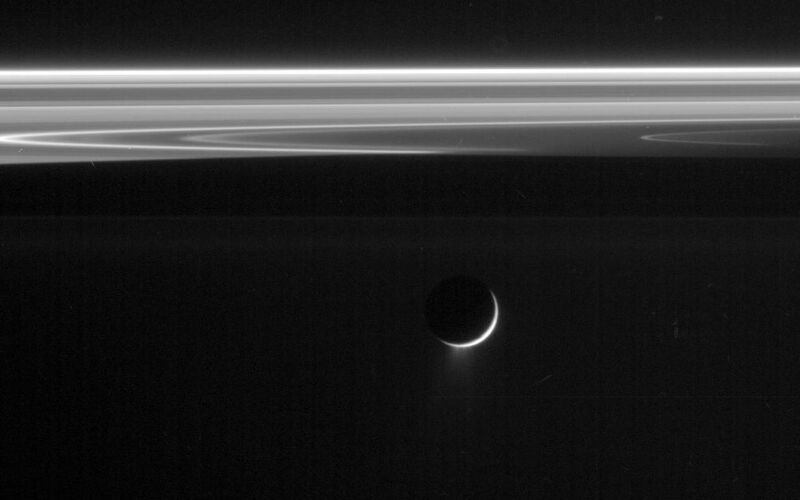 This image was acquired in a viewing geometry that makes the tiny particles in the Enceladus plume easy to see. 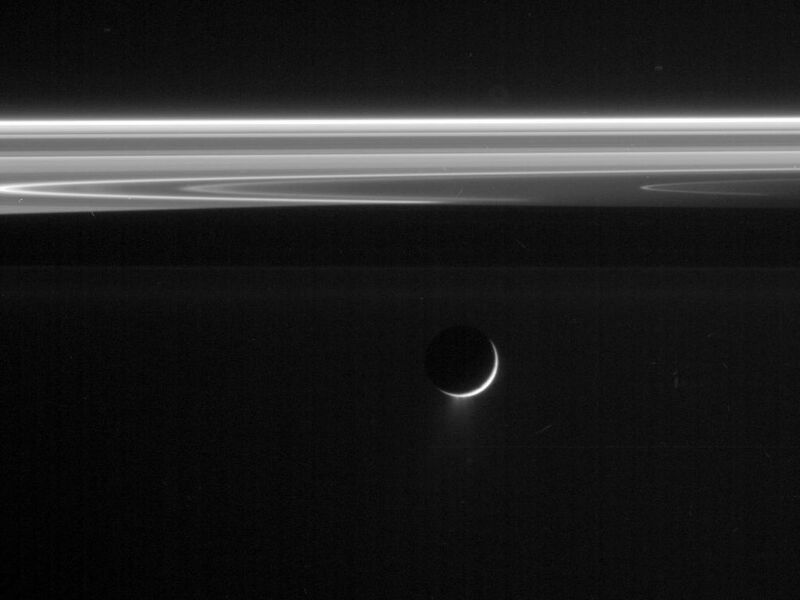 This view was taken in visible light with the Cassini spacecraft narrow-angle camera on Jan. 18, 2006, at a distance of approximately 930,000 kilometers (578,000 miles) from Enceladus and at a sun-Enceladus-spacecraft, or phase, angle of 154 degrees. Image scale is 6 kilometers (3 miles) per pixel.